Dr. Iskender Ince has been working in Aegean University Drug Development and Pharmacokinetics Research & Development Center (ARGEF) from 1997-present. 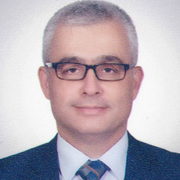 He received his M.Sc in pharmacognosy from Ege University Faculty of Pharmacy from 1993- 1995. Dr. Iskender Ince aslo received his Ph.D in Pharmaceutical Technology, Biopharmaceutics and Pharmacokinetics from Ege University Faculty of Pharmacy from 2000-2005.